Growing up in the Rossendale Valley just outside Manchester in the 1960’s there were many teams to support, but my allegiance to the Blue half of Manchester started one cold but bright winter day (a rarity in Manchester) in 1966 when I was taken to Maine Road by my father and Uncle, both of whom were City fans. It’s a cliché, but I remember my first sight of the stadium and the pitch and that was it, the die was cast and I’d be City ‘Til I Died. Maybe it’s genetic, but my father is a City fan and has been all his life. Coming from a family with 9 brothers and sisters, the family was split into Blue and Red. There was only one colour for me. I used to go to most home games and loved the atmosphere, when you could stand and watch in awe. The Kippax End, a mass of blue and white cheering on their heroes every Saturday. 1968 saw City win Division 1 in a nail biting climax at Newcastle having been promoted the year before under the stewardship of Joe Mercer and the mercurial Malcolm Allison. They had put together a team that blended steely defending (Doyle, Oakes, Pardoe, Book), world class attacking midfield players (Bell, Young) and wingers (Coleman and Summerbee). Added to this was the scoring instinct of Lee and we thought we could “terrorise Europe” as Malcolm said, but a first round exit put paid to hopes of European glory in the heady days of 1969. There was always a problematic position and although we had a great servant in goal with Dowd, the youngster was Joe Corrigan, not the most mobile ‘keeper and in his early days a little error prone. I remember standing behind the goal at Maine Road one Saturday in December with City 6 goals to the good against Burnley and one older, clearly inebriated fan that was yelling and trying to get Joe’s attention for the whole of the second half. When the seventh goal went in Joe eventually turned round to see who had been shouting at him, to be greeted by the immortal words “Keep your eyes on the ball Joe!” Even Joe saw the funny side of it. January 1969 saw City draw Luton at home in the cup and scrape a 1-0 win, followed by a difficult away game in the next round at Newcastle. I had not been to many away games but we got tickets and sped up the M1 in my Uncle’s Ford Cortina (à la Gene Genie). I loved the atmosphere and familiarity of Maine Road but St James’s Park with 56,000 fans in it was something else – and terrifying as wave after wave of bodies pushed down the terraces with every attack. The result was incidental – I was pleased to be alive at the final whistle and City were still in the cup with a 0-0 scoreline. The replay at Maine Road was four days later, a night match with an ecstatic 68,000 fans cheering on City to a 2-0 win; dare I dream of Wembley? My Grandfather was a Wembley aficionado: he went to England games and had taken me the previous year to see them play Scotland. He had also cultivated the friendship of a couple of league referees who became a regular source of tickets for the big games. I remember walking down Wembley way thinking I was the only Englishman in London; such was the fervour of the Scottish fans many of whom did not see the game having succumbed to Newcastle Brown Ale and whiskey. Round 5 saw us drawn away at Blackburn, a local derby and a game unusually played on a Monday night. I remember leaving school early to get to the ground in good time. A great crowd of 42,000 saw a comprehensive win with Lee and Coleman grabbing two each as City overcame a half time 1-1 scoreline. Wembley was firmly in our sights now and March saw Tottenham at home in the next round. 48,000 turned up to see Lee score the only goal for a deserved 1-0 victory. Semi-finals were played at neutral venues and Villa Park was chosen for our showdown with Everton. City had a very promising young centre half in Tommy Booth and I recall the elation amongst half the 60,000 crowd as he scored with a header in the 89th minute. That was it, we were going to Wembley to meet already relegated Leicester City. Everyone expected City to win easily but Leicester had a young star player in Alan Clarke and some seasoned professionals who really did not deserve to be at the wrong end of the Division 1 table. Shilton in goal would be hard to beat and although we were on a high nothing was certain when supporting City; that was to become a recurrent theme for the next 40 years! Grandad called in his contacts for tickets and on the 26 April, three generations of City fans boarded the 8.30 am train from Manchester bound for London and Wembley’s twin towers. Emotions were high, hopes equally so, but would my Saturday’s heroes lift the trophy? My second ever walk down Wembley way was much nicer than the first as I heard the chants that graced Maine Road on a Saturday ring out around the famous ground. 100,000 fans, a sea of sky blue and red and black (our away kit) and in the distance the Leicester fans cheering on their heroes. National Anthems, Abide With Me, all the cup final traditions I had seen on TV and now here I was at Wembley watching my team in the FA Cup Final. The game was open with Clarke going close early on and City counter attacking with raids down either wing by Coleman and Summerbee. Bell was tireless in midfield and Doyle was winning the midfield battle. I remember Summerbee skipping past two tackles to pull the ball back for Young who beat Shilton with a rifled shot high into the roof of the net. Three generations rose as one to cheer what we hoped would be the first of many, but that was not to be and we spent an agonising 60 minutes willing City on. My relief at the final whistle banished the terrifying memories of that away day at Newcastle, we had done it, City had won the FA Cup. The journey home on the train was one long sing song and the reception at Piccadilly Station in Manchester was even better than the walk down Wembley way. I watched the open top bus parade on TV the next day; this was my team and we had the cup. The cup final win put City into the Cup Winners’ Cup in 1970 and led to some amazing European nights at Maine Road as I went with my dad and uncle in the trusty Ford Cortina. One particular night in October we were playing Athletico Bilbao at home having drawn the first leg 3-3. Running late, we took a short cut only to get lost in the back streets of Manchester. Tempers were getting frayed. Only 20 minutes to kick off and then we saw the floodlights: off we went to arrive at – Old Trafford! More frantic Sweenie-style driving saw us arrive with the game 10 minutes old and City 1-0 up! We went on to win 3-0 on the night and go on to win the Cup Winners’ Cup in a very wet Vienna at the end of April. That year saw another Wembley visit and triumph as we beat West Brom 2-1 after extra time in a thriller. I actually enjoyed that game more than the FA Cup final and it became another treasured Wembley memory. The 1970’s saw me continue to go to watch City, but a move to University in Nottingham in 1974 and subsequent gainful employment meant fewer and fewer visits to Maine Road. City was a constant in my life and 5.00pm on Saturdays saw me glued to sports report to see how the boys had got on. There were some tremendous highs and lows to come over the next 30 years as I followed the team from afar. 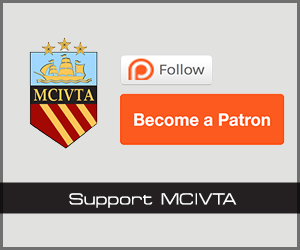 Relegation, promotion and the rise and rise of the other Manchester team did nothing to change my support although football has changed dramatically since the days of Division 1. The 1990’s saw me move first to Holland and then to Japan, which was just beginning to discover “soccer” with the J-league. Information on the club was sparse and hard to come by, and results were often gleaned from a late night phone call to my parents. Then I discovered something called e-mail and a lifeline of information in Manchester City Information Via the Alps or MCIVTA. 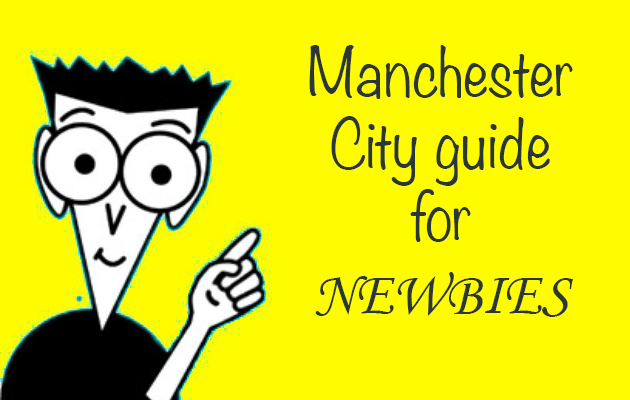 Started as a labour of love by a fellow exiled Blue in Switzerland, this was a bi-weekly newsletter about all things City and fed an information-starved exiled fan. My travels continued to Hong Kong, and the US and City’s fortunes see-sawed with no trophies, but lots of dramas! A return to Holland in 1999 allowed me to listen in real time to scores and even watch the odd game on TV and of course my son – who was then 4, was a Blue – a responsibility that I have not passed on without some trepidation. These were dark days indeed with City in the old Third Division with a new set of heroes in Dickov, Goater and Horlock. Thirty years on and another chance to see City at Wembley. Not the FA Cup final, but the third Division play off final against Gillingham. Grandad had long since passed away, but he must have been helping with the tickets as the concierge in my hotel got me two tickets for the Wembley play off final. Another walk down Wembley way, last time with three generations this time with a mate – but still the memories were there and the expectation higher – surely we could beat Gillingham and start to move in the right direction? A capacity crowd and as per usual with City, expectations dashed. Losing 2-0 with three minutes left I turned to my mate and uttered the fateful words that I had had enough. Never watching this team again – that was the end. The rest of course is history. Horlock and Dickov score to level it. Extra time and we win the penalty shootout and promotion. How could I doubt that City would win? How could I turn my back on the one constant in my life for the last 30 years? Another ten years on, still no trophies. A move to Australia and now Shanghai. Expectations as high as ever with the club’s newly found financial muscle and I’m still as wide eyed as that ten year old boy who went to Maine Road for the first time. I get to see most games on TV and even get up at 3.30 am to follow them in Europe – being City Till I Die really sums it all up.